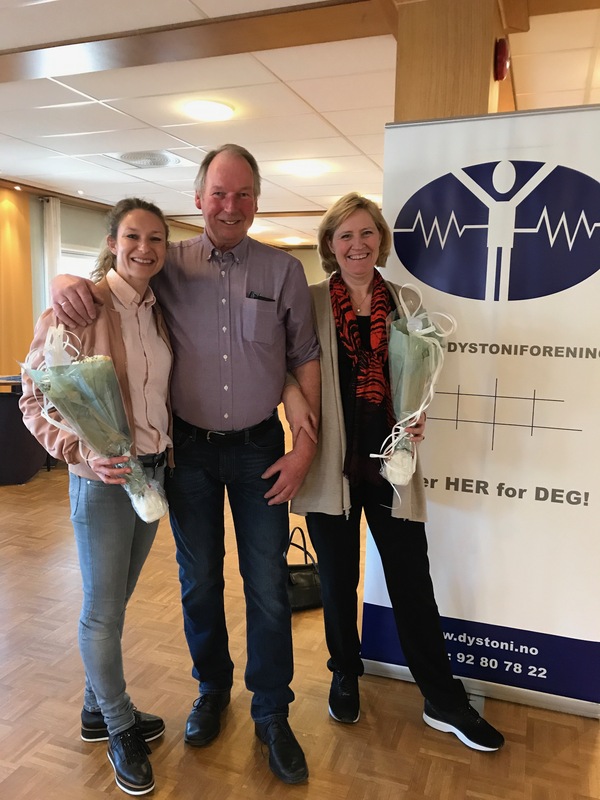 The week after the Dystonia Europe 25th Anniversary events, NDF, the Norwegian Dystonia Association, held its 25th Anniversary celebration and Annual General Assembly at hotel Olavsgaard, just outside of Oslo. 75 dystonia patients and family members from across Norway had come to the event. The Board of the Norwegian Dystonia Association. The international collaboration is important to receive information and share experiences and ideas with other organisations. 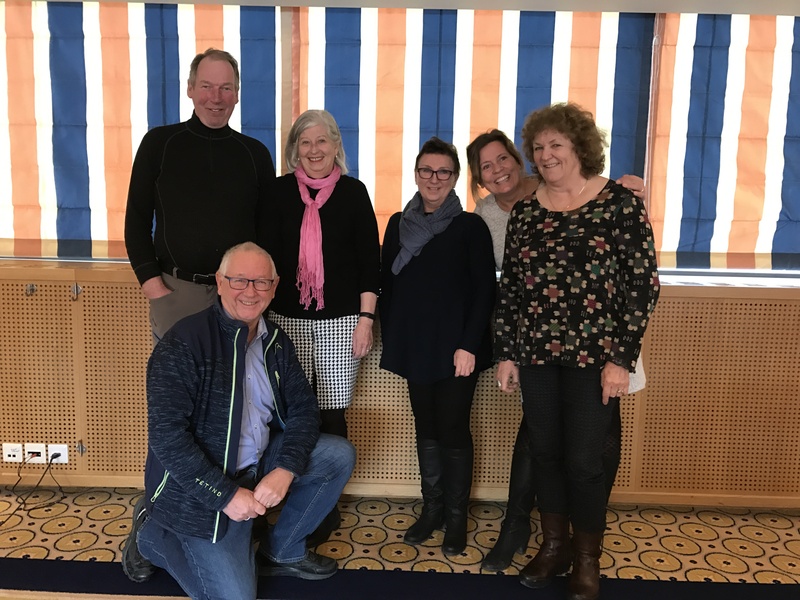 Representatives of the NDF Board took part in: the General Assembly of the Swedish Dystonia Association last February; the 25th Anniversary event of the Danish Dystonia Association last October in Århus and the recent D-DAYs 2018 and 25th Anniversary conference of Dystonia Europe in Brussels last April. During the D-DAYs in Brussels the Scandinavian associations from Finland, Sweden, Denmark and Norway organized an informal meeting to see how they can work more together and collaborate on dystonia subjects such as for example awareness across the Nordic borders. The keynote speaker of the day was Professor Espen Dietrichs of Oslo University Hospital who held a presentation on plasticity and dystonia. Plasticity is the ability of the brain to change throughout an individual’s life – brain activity associated with a given function can be transferred to a different location, the proportion of grey matter can change, and synapses may strengthen or weaken over time. There are theories that plastic changes in the cerebral cortex as well as in the basal ganglia can contribute to cause dystonia. But the plasticity of the brain can also be used when relearning and retraining when you have dystonia. After lunch there was an Expert Panel of two neurologists Inger Marie Skogseide from Rikshospitalet in Oslo, Jannicke Koldeus-Falch from Ahus, and physiotherapist Lizbeth Fladby, also from Rikshospitalet. The audience could ask anything they wanted to know about dystonia and there were many different questions on the various types of dystonias, different treatments and its effects. The low level of knowledge about dystonia among the GPs was also discussed and what to do about it. Monika Benson shared that this is similar in other European countries. One idea could be for the national dystonia association to connect with the association for GPs in the country. Maybe it could be possible to be included in the program at one of their conferences and share a dystonia patient story? Inger Marie also urged for more dystonia awareness to raise awareness among the public as well as influence decision makers. She suggested that the Dystonia Association maybe should work together with Tremor patients to become a larger, stronger and more influential group.